I've always wanted to do a pig nail art tutorial but back then I didn't have the perfect pink nail polish for it. So when I found the perfect pink shades, the first design I thought was PIGS! I thought it was going to be complicated but I was surprised that it took me only a short time to get this design done. If it was easy for me, I am sure it would be easy for you too... So let's get started! If you thought this was cute and you had fun watching the video then I'm sure you are going to love them when you paint them on your nails! When the design chipped, I was actually a little sad. I didn't want the cute pigs to go but they were tearing apart..so I had no choice but to wipe them off with the foxy nail polish remover. If you want this design to last longer, I suggest you use a good top coat. I used Orly's Top 2 Bottom. My other favorite top coat is Seche Vite. I hope you liked this simple yet super adorable nail art design. Please follow this blog for more photos, tutorials and stories. 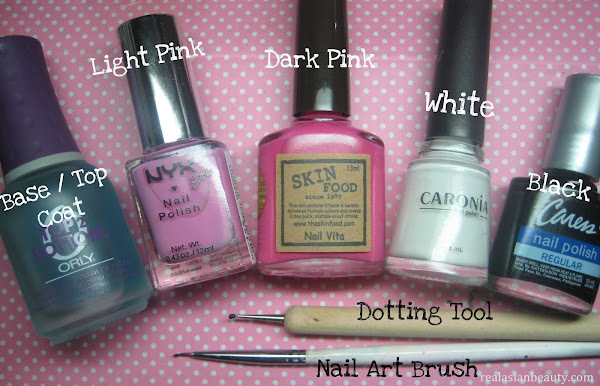 Also, visit my YouTube channel for more videos and nail art tutorials. Please leave your comment or questions in the section below and I shall get back to you as soon as I can.